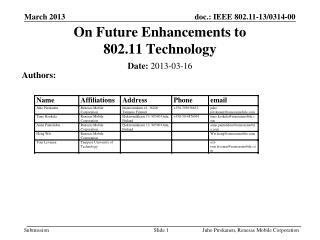 considers one technical option for future enhancements of the 802.11 technology. We believe that these requirements and targets are sensible in high level and set the correct direction for future work. Carrier Oriented Cellular Offload is also a viable use case, however, improvements should be generic to support different kinds of use cases. 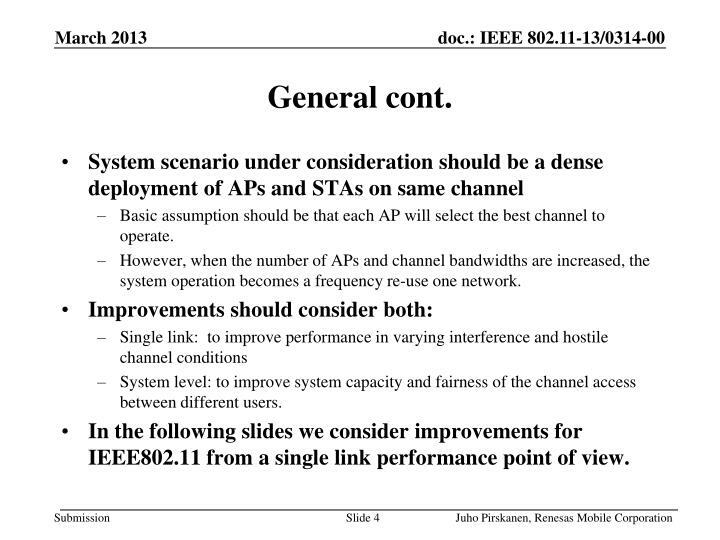 Basic assumption should be that each AP will select the best channel to operate. However, when the number of APs and channel bandwidths are increased, the system operation becomes a frequency re-use one network. 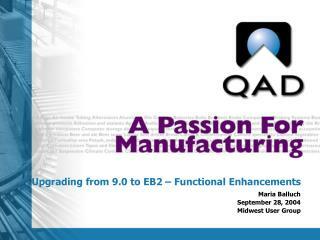 System level: to improve system capacity and fairness of the channel access between different users. 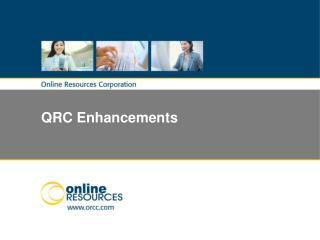 In the following slides we consider improvements for IEEE802.11 from a single link performance point of view. Can be detected on negative SNR levels. Improvements on the header would improve maximum coverage but not the actual achievable bitrate at BSS edge. 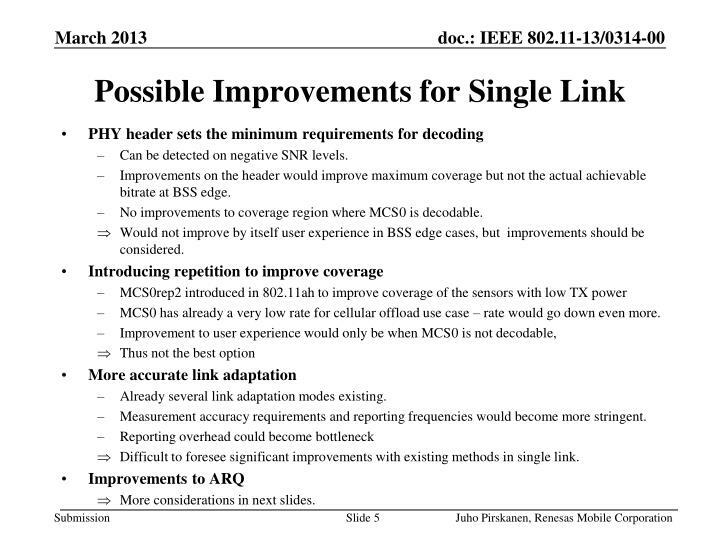 No improvements to coverage region where MCS0 is decodable. 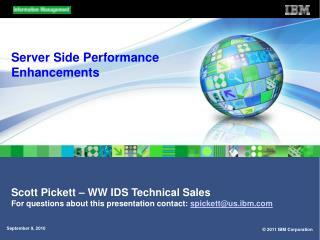 Would not improve by itself user experience in BSS edge cases, but improvements should be considered. 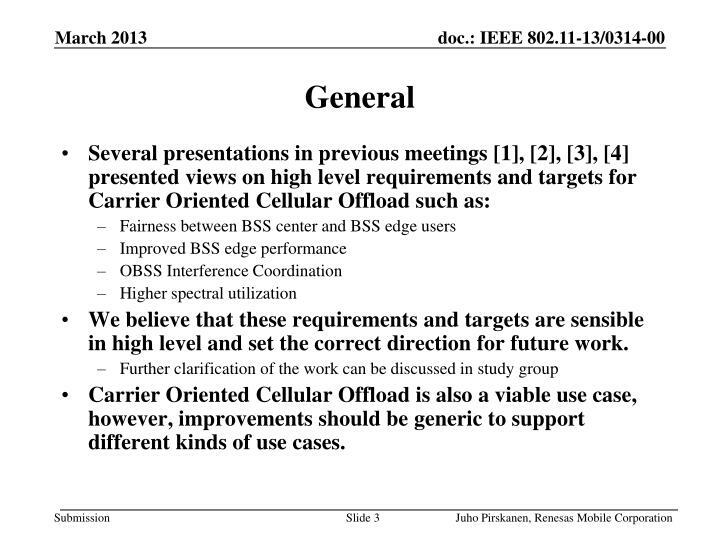 MCS0 has already a very low rate for cellular offload use case – rate would go down even more. Already several link adaptation modes existing. 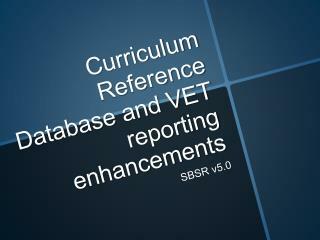 Measurement accuracy requirements and reporting frequencies would become more stringent. 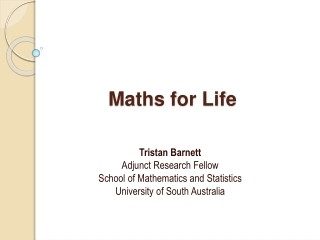 Difficult to foresee significant improvements with existing methods in single link. 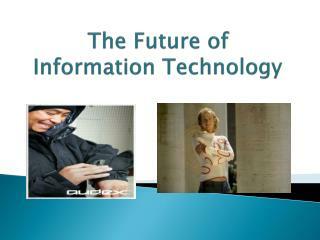 More considerations in next slides. CRC Decoding error due to too low SNR level to decode transmitted packet correctly. CRC decoding error due to collision. Assumes always that collision occurred and increases the backoff. TXOP can support fast packet retransmission with Block ACK, but different transmissions of same data packet are fully independent. Collisions affect the achieved BLER and link adaptation drives down used MCS to maintain BLER target. Effect can be somewhat compensated but it will reduce link adaptation capability to follow channel dynamics. Reciprocity of the link does not hold as the interference seen by transmitter and receiver is different. Robustness and recovery to link adaption errors become essential. 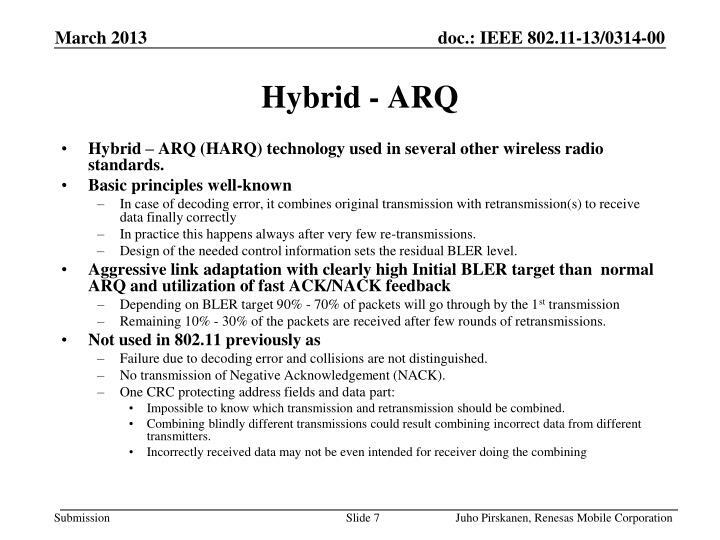 Hybrid – ARQ (HARQ) technology used in several other wireless radio standards. In practice this happens always after very few re-transmissions. Design of the needed control information sets the residual BLER level. 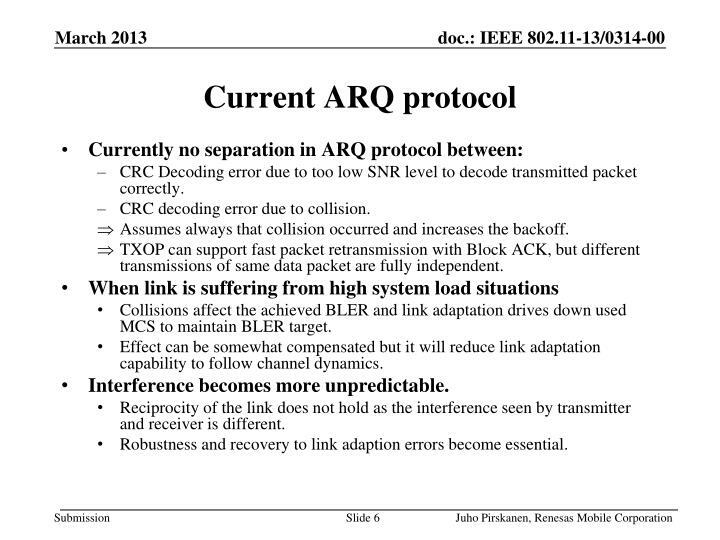 Remaining 10% - 30% of the packets are received after few rounds of retransmissions. Failure due to decoding error and collisions are not distinguished. No transmission of Negative Acknowledgement (NACK). Impossible to know which transmission and retransmission should be combined. 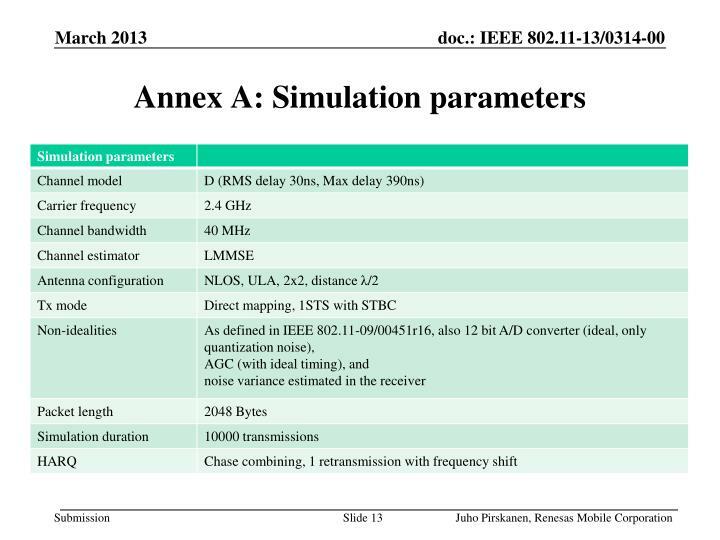 Combining blindly different transmissions could result combining incorrect data from different transmitters. 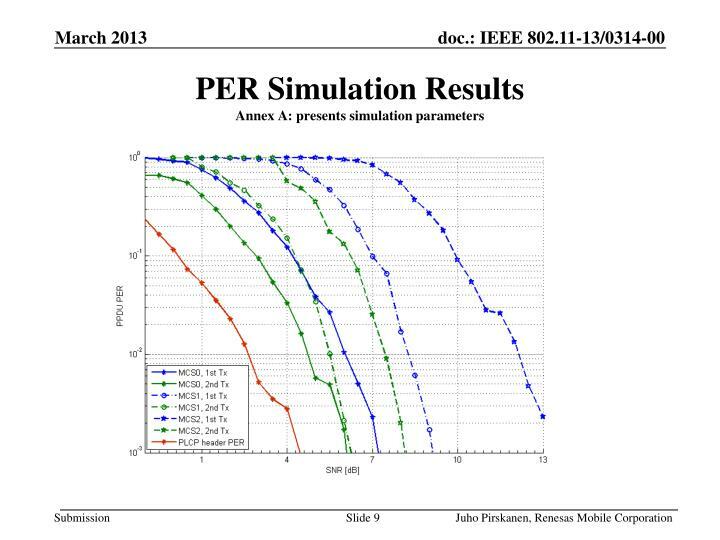 PHY header detection will become limiting factor. Fast recovery from link adaptation error. Reduced total transmission times and medium utilization. 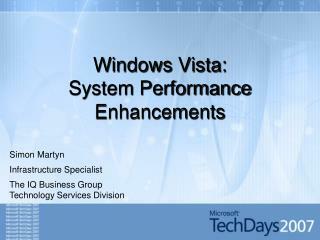 Could be introduced on top of 802.11n and 802.11ac for both 2.4 and 5 GHz in a backward compatible manner. 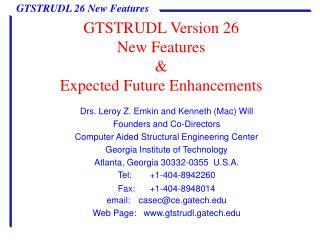 Specification work of a significant new feature. Majority of the existing PHY header parts could be re-used. 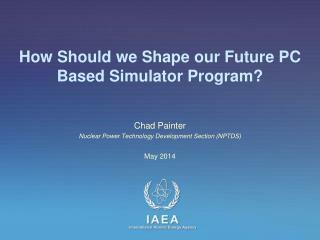 Could be included in the design of a new PHY. Transmission and reception of NACK frame. Limiting data rates used with HARQ. 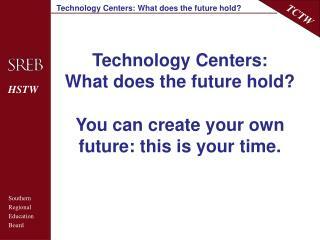 Carrier Oriented Cellular Offload is a viable use case and presented targets for future work are sensible. 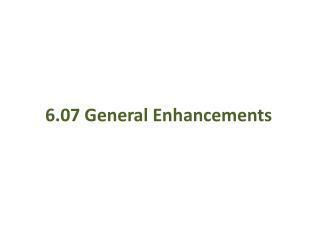 Improvements should be as generic as possible to support all kind of different use cases. 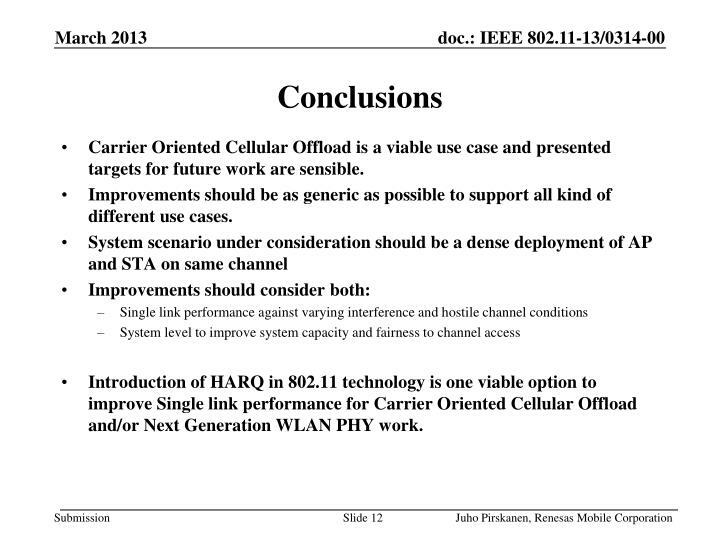 Introduction of HARQ in 802.11 technology is one viable option to improve Single link performance for Carrier Oriented Cellular Offload and/or Next Generation WLAN PHY work. 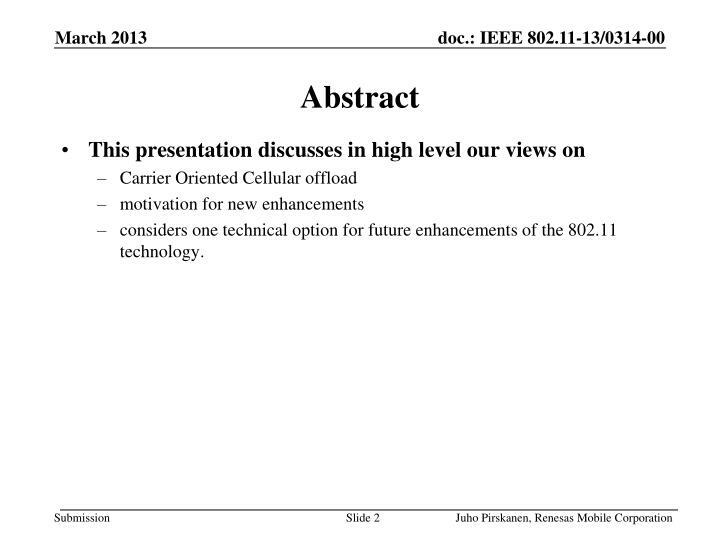 11-12-0910-00 Carrier Oriented WiFi Cellular Offload; Laurent CariouOrange, et al. 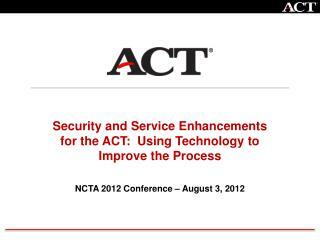 11-12-1258-01 Operator Deployed WLAN offload Cellular; Fang Xie (CMCC), et al. 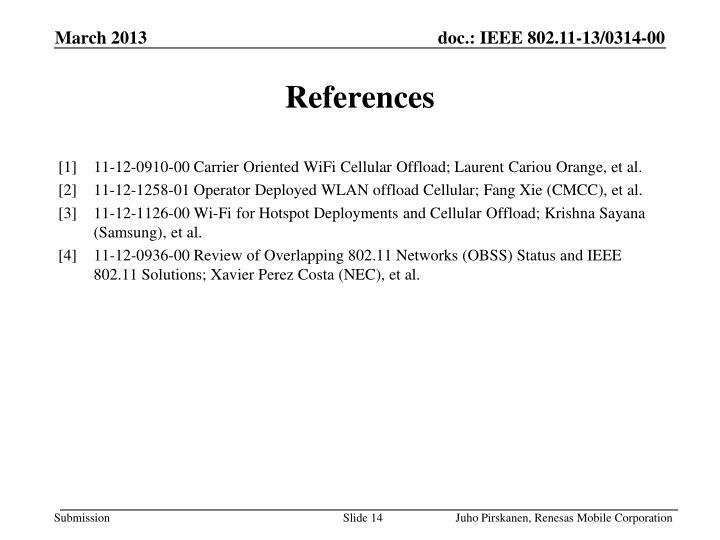 11-12-1126-00 Wi-Fi for Hotspot Deployments and Cellular Offload; Krishna Sayana (Samsung), et al. 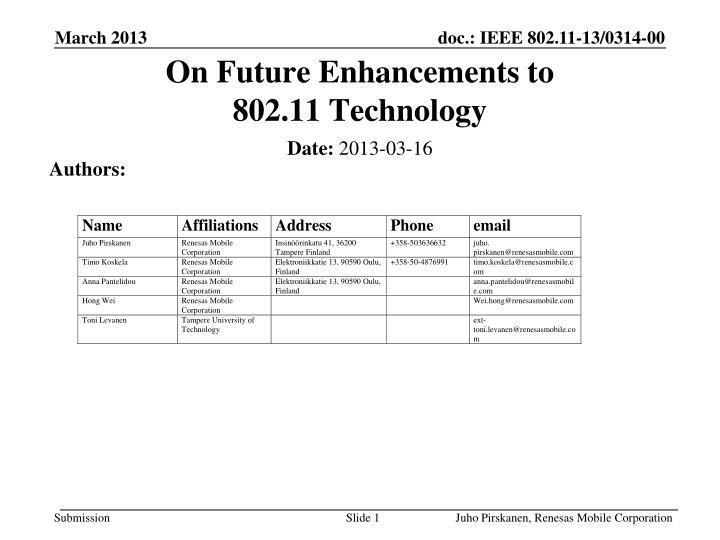 11-12-0936-00 Review of Overlapping 802.11 Networks (OBSS) Status and IEEE 802.11 Solutions; Xavier Perez Costa (NEC), et al. 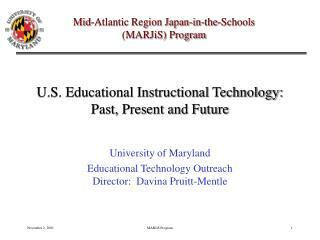 IPEDS Enhancements and New Tools -. 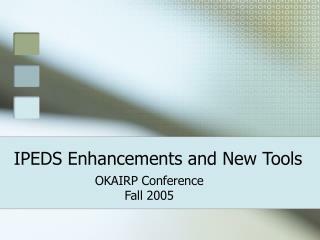 okairp conference fall 2005. enhancements. college opportunities online (cool) http://nces.ed.gov/ipeds/cool admissions data graduation rates links to federal default rates links to accreditation sites. 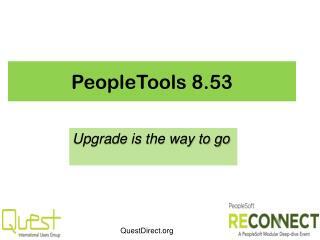 PeopleTools 8.53 -. upgrade is the way to go. agenda. 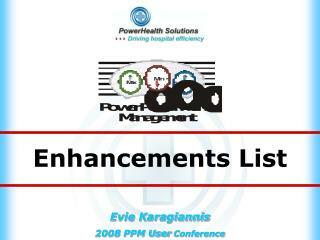 why upgrade peopletools 8.53 enhancements new features user experience enhancements system administration reporting changes other enhancements q&amp;a. why upgrade peopletools. 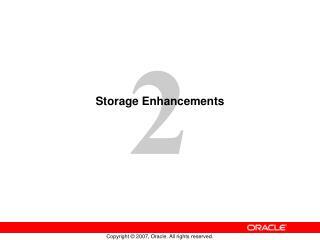 Enhancements to Basel II -. 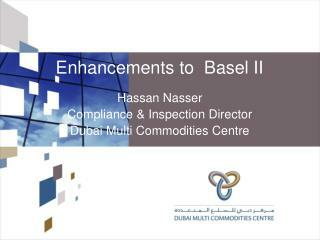 hassan nasser compliance &amp; inspection director dubai multi commodities centre. enhancements to basel ii. basel committee is responding to the financial crisis by strengthening the basel ii framework.